It was an album decades before its time and one that has remained a mystery for years. Frank Sinatra and Liberace both held it in high esteem. It was so ahead of its time, in fact, that little information was available about it even when it was released in 1962, on the made up label Lace Records, because Edison International didn’t want to be considered a gay label. In addition to the fake label, the album was secretive in its lack of other pertinent information, such as who all was involved in its creation. “For Adult Listeners Only, Sultry Stylings by a Most Unusual Vocalist,” the album read. “Why?…Were they not written by men?” it asks, congratulating the unnamed singer for the courage to take on the challenge of singing the songs with their original lyrics unchanged. His dream of finding out more about the music came true in 2012, eight years after he first started playing the music on his show. The album’s producer, Murray Garrett, emailed him after discovering that Doyle had written about the music. 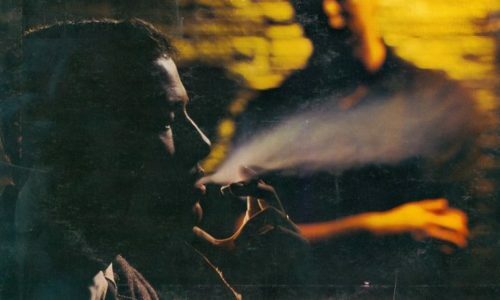 Doyle interviewed Garrett, which the label Sundazed heard, eventually leading to this month’s re-release of the album, under imprint Modern Harmonic. As it turns out, everyone involved in the album was straight. Garrett’s friend was starting a record company and asked him if he had any ideas for an album that would create a stir. He was reminded of a time in the 1940s when his friend brought him to a gay bar, where he saw a man sing standards typically delivered by women. Garrett pitched the idea, and then turned to his friend Gene Howard to handle the singing duties. Howard was married with children. His wife asked if the project would be done with dignity. When she learned that it would, she gave her blessing. The music was provided by some of L.A.’s finest studio musicians. When Garrett played it for his friend Frank Sinatra, he ordered 12 copies. He played it while doing an album cover shoot with Liberace – Garrett is a photographer – and he the musician reportedly took the record with him when he left. Garrett says that he also gave the album to Bob Hope, who “went crazy” for it. 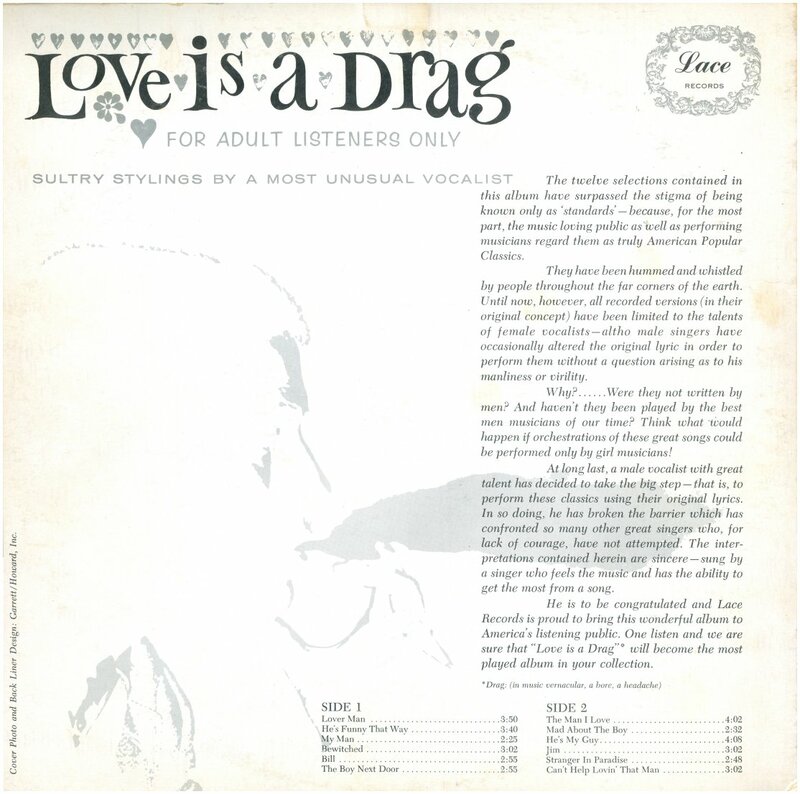 The re-release of “Love is a Drag” is available from Modern Harmonic as a CD or in vinyl. It is available in MP3 format from Amazon. UPDATE: Or, as someone pointed out in the comments, you can listen to it on Spotify.